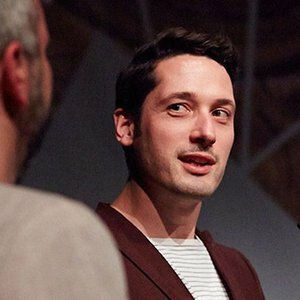 Designer Harald Dunnink (1981) is the founder and creative director of Momkai and the co-founder and creative director of online journalism platform De Correspondent. It is always his aim to design both intuitive, elegant digital experiences and strong, simple brands, for international clients as well as for self-initiated projects. He is the lead designer on ventures like Red Bull Studios, Lowdi, Pete Philly’s Open Loops, De Correspondent and Nalden.net. In 2002 Harald founded Momkai, an independent, creative agency with the ambition to conceptualise, design and develop innovative projects that truly inspire, inform and interact. Its direct clients on global and European digital projects include Red Bull, Bugaboo and Nike. Harald is also the co-founder and creative director of Lowdi, a wireless speaker brand that allows you to bring your music with you wherever you go. Limited editions include Lowdi x Ed Banger Records with Heineken (2013) and Lowdi x Carhartt (2014).